Explain why Forest Stewardship Council (FSC)-certified wood is key to green building, and why building professionals play an important role in promoting good forest management and conservation in North America and beyond. Gain insight into the fundamentals of a leading forest certification system with benefits for LEED certification. Master the new rules for how FSC-certified wood works in the LEED green building rating system, clarify the differences between LEED 2009 standards and LEED v4 as it relates to FSC, and understand how FSC is credited in other leadership green building programs in North America. Understand the tools, strategies and resources that green building professionals can use to encourage market transformation to sustainability of the forest products industry. 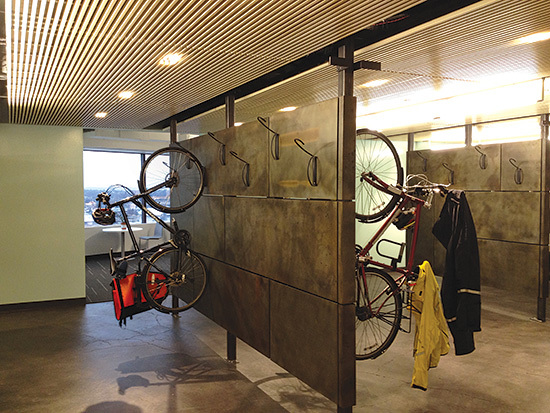 From energy performance to occupant health, every aspect of design and operations is evolving with a focus on better outcomes and greater environmental benefits. Nowhere is this more evident than in the forest products arena where products from responsibly managed forests are central pillars of green building. Forests are critical to life on earth. They are complex ecosystems that support nearly 80 percent of the world’s terrestrial species and the livelihoods of 1.6 billion people. Forests protect the earth’s soils, provide much of our fresh water, and regulate and stabilize the climate. Today, forests comprise 31 percent of our land area, yet during the past 50 years almost half the world’s original forest cover has been lost. In the southeastern U.S. alone, forests are home to more than 3,000 species of plants, 504 birds, 158 mammals, and 187 reptiles, making the region a cornerstone of North American biodiversity. Progress in the way we manage and conserve forests worldwide is coming from both ends of the marketplace. On the supply side, the acreage of forest land managed and certified to the environmental and social standards of the Forest Stewardship Council® (FSC) continues to grow, as does the number of companies committed to bringing certified wood to market. In the U.S. and Canada, 175 million acres and 5,000 companies are certified to FSC standards. Following several years of work by USGBC staff and LEED working groups, LEED v4 was ratified in the summer of 2013 with support from 86 percent of voting USGBC members. In the new LEED v4 standard the key credit addressing certified wood is the Raw Materials Credit, “Building Product Disclosure and Optimization: Sourcing of Raw Materials.” With the future of responsible forest management hanging in the balance, wood products have been the subject of much consideration for this credit. In LEED v4, as in LEED 2009, products that are certified according to the policies and standards set by FSC are recognized along with products that meet other environmental criteria such as materials reuse and recycled content. LEED v4 represents a thorough overhaul of LEED 2009, and this includes the Materials and Resources section where there are now significant differences between LEED 2009’s Certified Wood Credit (MRc7) and the new Raw Materials Credit. The changes occur both at the high level of credit language and structure, and in the details of calculating and documenting the use of FSC-certified wood contained in LEED Reference Guides. LEED v4’s continued recognition of FSC and the updates to how FSC contributes value in LEED projects reflects a strong commitment in the green building community to driving progress in the forest products industry. 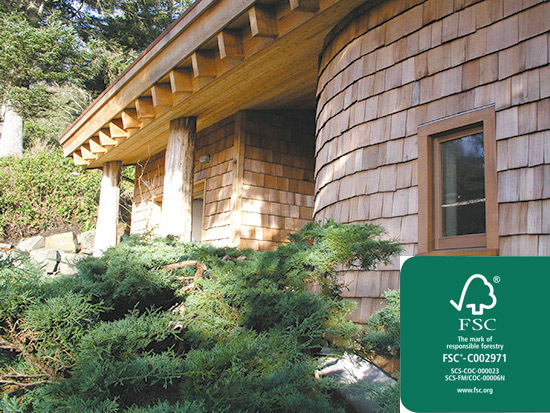 By specifying and using FSC-certified wood, green building professionals help protect forests, wildlife habitat, the health of global ecosystems, and support market transformation to sustainability in the forest products industry.